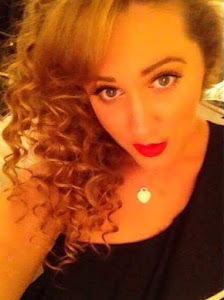 Laura Jade Jackson: The Clothes Show 2015! 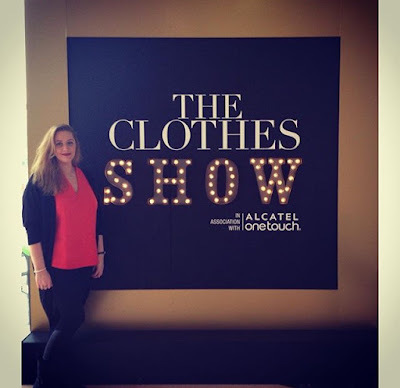 Hello and welcome to my post all about attending The Clothes Show 2015! For my birthday this year, one of my presents from my parents was some platinum tickets to The Clothes Show 2015 at the NEC in Birmingham for Sunday 6th December. I was really looking forward to going as soon as I received the tickets, plus it's a quick city break to Birmingham for me and my mum for the weekend. I've never been to Birmingham before either, so I was looking forward to getting the chance to see and explore a new city. The main thing I was excited about is seeing Ella Eyre perform, as she was one of the celebrity guests on the day we'd booked, and she definitely did not disappoint! The Clothes Show is Britain's Fashion Festival, where the line up of brands, celebrities and features are bigger and better than ever before. It's the ultimate fashion experience including, catwalks, trend presentations, shopping, hair and beauty demonstrations and talks from leading industry experts. It offers all the brands you love under one roof, so you can shop till you drop! You can also take time out to spoil yourself with a makeover session in the SAKS pamper lounge and treat yourself to the latest hair and beauty products. Throughout the day there were interviews with leading designers at the OLYMPUS PEN style studio talking about the latest trends. You could also be inspired by the finest high street and graduate collections on The Image Catwalk. 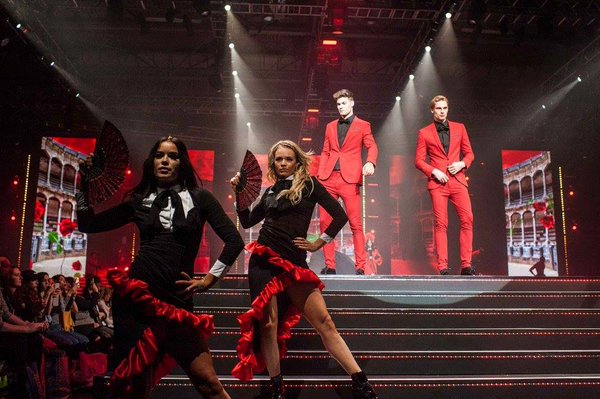 Tickets also include seats in the ALCATEL ONETOUCH Fashion Theatre where we enjoyed a fantastic fashion spectacle featuring celebrity presenter Rick Edwards, amazing singer Ella Eyre, over 40 dancers and over 350 outfits modelled on the catwalk! This was the best part of the whole day and was definitely not to be missed! The Fashion Theatre performances took place five times throughout the day to give everybody a chance to see them. You had to pre-book a time to attend when you booked your tickets. 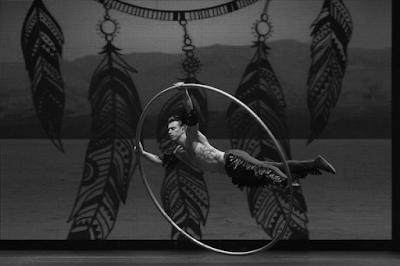 The theatre held around 4000-5000 people and the show featured over 40 top models and dancers and combining drama, emotion and cutting edge fashion. As mentioned before, Sunday's Fashion Theatre was hosted by Rick Edwards and included performances from the talented Ella Eyre. My mum got amazing seats for this, we were right at the front on the 3rd row so we could literally reach out and touch the stage, which made it even better to watch. Ella Eyre started the show with her song 'Together' which was amazing and when she turned to face me, I waved and smiled at her and she waved and smiled right back at me which was so lovely! I love her voice and I think she's so talented, so this alone was a highlight for me! THE WORLDS MOST VIBRANT AND MESMIRISING CATWALK SHOW. 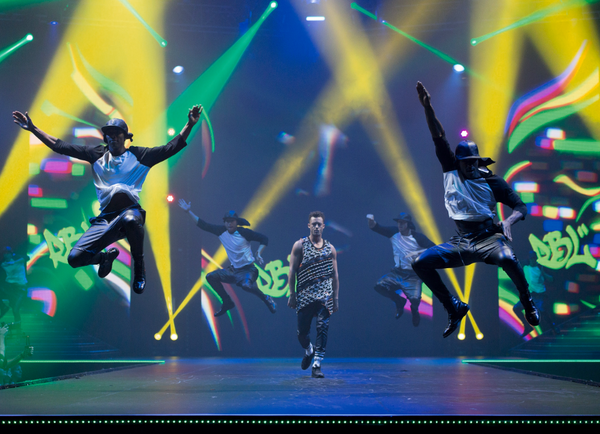 Enjoy fast-paced fashion action including performances from top music acts, special guests and the UK's leading models and dancers. This year will combine drama, emotion and cutting-edge fashion in a dazzling assault on the senses. Prepare to be amazed by this year's fantasy theme, The Empires', watch as the forces of fashion and planets align. I have to say, they got it pretty much right and as described! This was the best fashion show I've ever seen. Even the ones I've seen when I've been working at London Fashion Week and London Fashion Weekend over the past few years haven't been anywhere near as good as this one. I've got to give major congratulations to whoever creatively directed the shows and brought everything together because it was honestly amazing and was the highlight of the whole day! The models, dancers, choreography, graphics, images, music, clothing, accessories, shoes, designers chosen, literally everything was fantastic and you could tell the whole thing had been very thoroughly thought through and was perfectly executed. So about half way through the day my mum and I went to the Q&A session with Binky from Made in Chelsea, as we both watch the show and she's one of our favourites, mainly because she's completely herself, she's so down to earth and just a normal girl, she doesn't try to be something she's not just because she's on a popular TV show. This lasted about 15 minutes and involved Binky herself with a presenter who asked her some questions about her life in general, the show, her fashion and beauty tips, and her new clothing range with In The Style. In The Style were exhibiting at the Clothes Show with Binkys new range, along with Charlotte Crosby's (from Geordie Shore) and Billie Faires' (from TOWIE) clothing ranges, which were all available to purchase. The talk was very informative and Binky was her usually humble, funny self. However, I was a bit disappointed with the session overall, as I thought the whole point of a Q&A was to give the audience a chance to ask some questions as well, which I think would've been nice and made it more interactive for the people watching and all her fans. There were quite a few 'celebrities' attending the Clothes Show over the 5 days, and quite a few there on the day I went. I saw Lauren Pope, Joey Essex, Carol Wright and Nanny Pat from TOWIE, Binky and Jamie Lang from Made in Chelsea, Charlotte Crosby from Geordie Shore, Rick Edwards and of course the gorgeous Ella Eyre! There were several opportunities throughout the day to get things signed and take selfies with the celebs, however, there were thousands of screaming 14 year old girls in the queues for hours, so I thought I'd give those a miss. So in the morning, we passed the Saks pamper lounge where you could make appointments throughout the day to get your nails, hair, makeup or eyelashes done. I saw a girl getting some eyelash extensions and asked for some more information about it, as I've been debating on whether to get eyelash extensions for a while now, as I've seen some on people that look really natural and effective but then I've seen some that don't look so good. So I've always been in two minds whether to actually go through with it, especially because the prices I've seen range from £45-£50, which is a lot of money if you don't like it once its done. However, the lady gave me some information and told me it was being done for a special offer price just at the Clothes Show for £10! So I literally couldn't refuse the offer! So I booked myself an appointment for towards the end of the day to give us a chance to look around at everything. So the treatment I had was called 'Express Lashes' which is supposed to last 1-2 weeks and the lashes they used are called 'Noveu Lashes'. Whenever I've seen people getting eyelash extensions they've always had their eyes closed, so that's what I was expecting. However, the lady explained to me that for this treatment they use an open eye method, which means I had to keep my eyes open while she was applying the lashes, which trust me is a lot harder than it sounds! It took about 30 minutes to complete both eyes and I was SO happy with the finished result. I would definitely get them done again if it's done by the right person. They lasted about 3 weeks! So finally, down to the shopping! Overall I'd say half of the hall had good brands and exhibitors, but the other half was disappointing. They good half had a lot of fashion and beauty brands I recognised and that are well known and established and had great products. A popular thing on most stands were 'goody bags' which most brands seemed to be offering. I'd done my research beforehand on what kind of things you could buy at the Clothes Show, because I'd never been before and a lot of people had talked about the goody bags. They'd said that some were really good and if you already shopped with the brand normally, then the goody bags were great for trying new products from a brand you already like and trust or a great chance to get some products you already use at a bargain price. However, many people had said online that some of the goody bags weren't so good, as they were putting in strange products which most people wouldn't use, just to get rid of products for a bargain price. Some examples of these were green mascara and orange lip liner etc. So after doing my research I was wary of this when deciding whether to go for any goody bags. 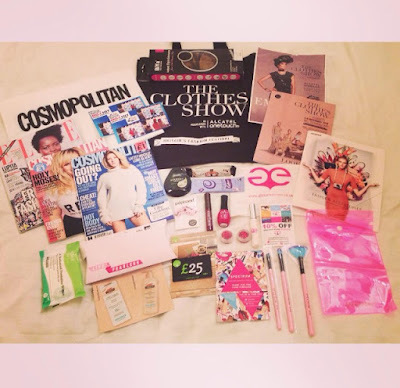 I think the only goody bag I actually picked up was the cosmopolitan one, which included two Cosmo magazines, an Elle magazine and a red nail varnish for £2, which I thought was a really good offer! My mum and I also got a platinum ticket holder complimentary Clothes Show goody bag with bits and bobs in, which was ok. 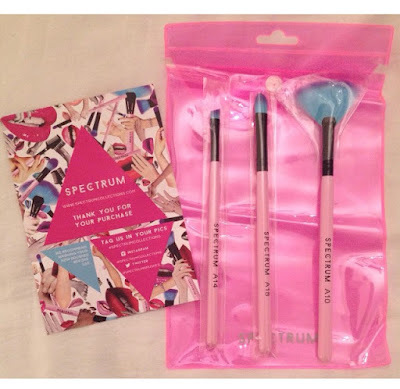 I also picked up some Spectrum makeup brushes, which I've been wanting for a while as I follow the brand on instagram and I'm obsessed with their mermaid looking makeup brushes. The problem is, they're quite expensive. Luckily though, at the Clothes show, they had a 3 for 2 offer on all their makeup brushes, which I thought was a great offer. On reflection, I wish I'd have got some more brushes, but from memory there wasn't actually many options left when I got to the stand. I just picked up these three brushes, which I got for £9. I bought a few other things as well, but to be honest, if I'd have bought everything I was tempted with, I could've spent hundreds of pounds, but I didn't want to spend money just for the sake of it so I thought I was quite sensible on the day. I was happy with all of all of my purchases and overall I had a great day with my mum. To anyone who's never been before and is into fashion and beauty, I would definitely recommend going. Thank you for reading this post all about the Clothes Show. I hope you enjoyed it. Catwalk Images: www.clothesshow.com, www.twitter.com/ClothesShow, www.alamy.com.